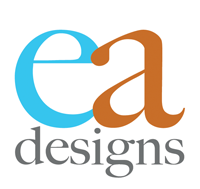 Welcome to Ellen Aresty Designs. 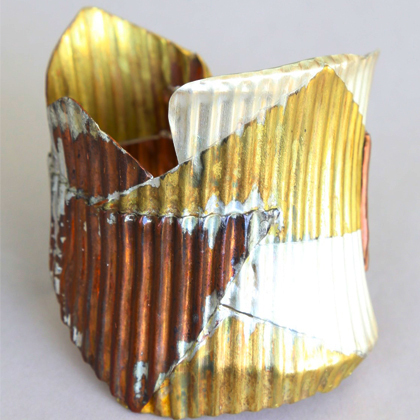 I am an artist – a weaver, jeweler and metalworker. Through this site, you’ll be able to learn more about my processes and explore my work. To learn about my vision as an artist, please click on “Artist Statement” above, where I discuss my inspirations. I love color and for that reason have been drawn to including stones, colored and dichroic glass and combining copper, silver and brass metals in my work. To learn about my life and how I came to be an artist, please click on “About Me” above. Finally, to follow my latest work and get updates from me, please visit my Facebook page at www.facebook.com/EllenArestyDesigns. I use sterling silver, fine silver, argentium silver, copper and brass to make rings, pins, necklaces and bracelets. I sometimes make pieces where different metals are added as an accent, knitted together, or married together to create the base of the piece. I create fused glass stones that combine colors and dichroic glass. I enjoy cutting large rocks and shaping and polishing stones to use in my pieces. 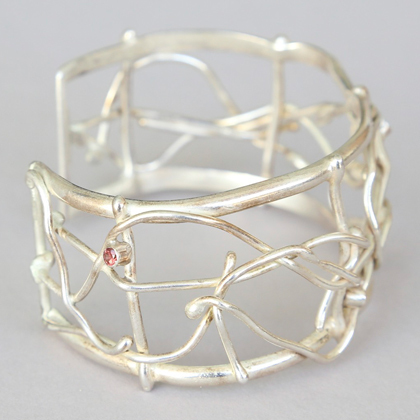 Many of my pieces of jewelry have parts that use wire. 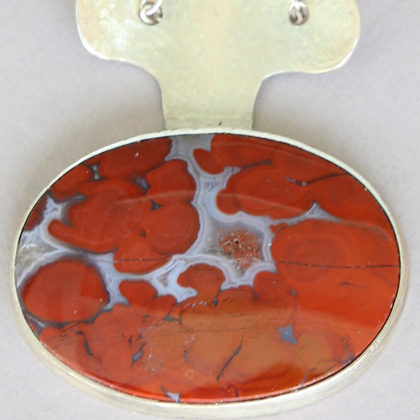 Sometimes it is fused, or placed on a piece, sometimes it is knitted and used as a necklace or bracelet. I have just started using some basic casting techniques to make parts to include in some of my pieces.